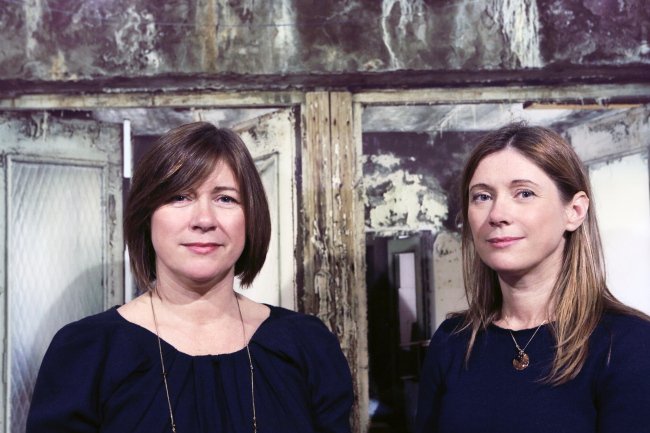 The Korea Herald interviewed Jane and Louise Wilson by e-mail. Following is an excerpt of the exchanges. The Korea Herald: What kind of project are you currently working on? Jane and Louise Wilson: We‘re here on Gapado Island to research a new photographic, film and sculpture project that will lead us to create a new installation and at the moment we have a working title “Undoings.” The work will inevitably represent an extension of our working practice already but we hope to eventually show the new work on the island in the Gapado Gallery and in Seoul. KH: What about Jeju and Gapado intrigued you before you came? JLW: We are fascinated by liminal zones in our work and in particular the status of an island because it represents a sort of nomadism in time and space. We particularly like this Korean saying that the past is a mirror that reflects the future and perhaps through imagining the past we have the possibility to remember the future. Through the prism of a camera lens we not only see the surrounding islands from Gapado but to the southernmost and to the far north as well. KH: How do you like the residency program? JLW: The residency here is very special it feels a real privilege to be a part of such a pioneering project between Ted Chung, CEO of Hyundai Card, Gapado Island and Won Hee-ryong, governor of Jeju. The building designed by the architect Wook Choi feels like an extraordinary architectural vision, part 20th-century Modernist, Brutalist structure and at the same time like stepping into an ancient archaeological ruin that’s been preserved. It‘s really inspirational and I think all the artists on the residency are delighted to have the opportunity not only to visit but to actually spend time here and create work.